Audit professionals are valued members of society and are expected to be both skilled and ethical in their decision-making. The role of the auditor extends far beyond that of counting beans by demanding a social and political awareness, a technical knowledge, ethical principles and relationship skills. In addition, due to the team-oriented nature of the audit approach, auditors require strong team-building and interpersonal skills. This book offers expert descriptions of, and insights into, how such skills and responsibilities can be inculcated in tertiary education and professional training environments. Unlike other books which focus on auditing as a technical process, this volume examines auditing from a teaching and learning perspective. 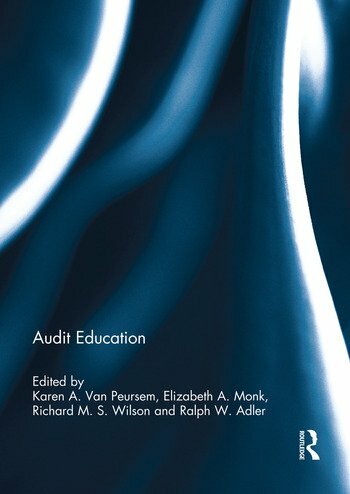 Expert contributors provide authoritative insights into an audit education which is embedded in accounting practice. The book’s descriptions of these insights into improving education for future audit professionals may allow the introduction of new and challenging fields of enquiry. Audit Education will be of great interest to educators in tertiary institutions, trainers in professional firms, and key individuals in accounting professional bodies seeking to ensure their members possess acceptable levels of attainment for admission and continued membership. This book was originally published as a special issue of Accounting Education: an international journal. Karen A. Van Peursem is Visiting Professor in the School of Accounting & Commercial Law at the Victoria University of Wellington, New Zealand. She has over 30 refereed publications in audit, ethics and public accountability, and is a co-author of a leading New Zealand audit textbook, now in its 6th edition. Elizabeth A. Monk teaches in the School of Business at the University of Dundee, UK. Her PhD was in audit education and she continues to research in this area. She is also interested in corporate governance in developing countries and in the management of accounting information. Richard M. S. Wilson is Emeritus Professor of Business Administration & Financial Management in the Business School, and Visiting Professor in the Department of Information Science, at Loughborough University, UK. He is the founding editor of Accounting Education: an international journal. Ralph W. Adler is Professor of Accounting at the University of Otago, New Zealand. He has taught graduate and undergraduate students in the USA and New Zealand for more than 25 years. He is presently the Chairman of the Performance Measurement Association of Australasia.